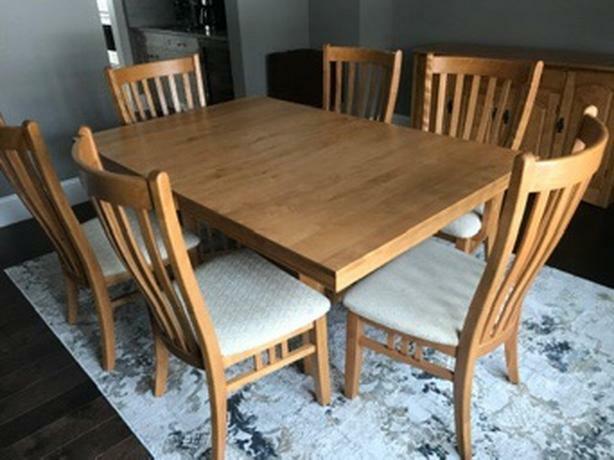 Solid birch, made by Canadel Furniture in Canada. In excellent condition, like new. Extra leaf that stores under the table.